A little more rare to find out on the road, there’s a reason that Jaguar vehicles look just as stunning today as they have throughout the years. Jaguar owners are constantly working to ensure that their car is kept in top working condition and performing at an optimum level. Jaguars aren’t vehicles that can meet and exceed your expectations while receiving minimal and average maintenance. 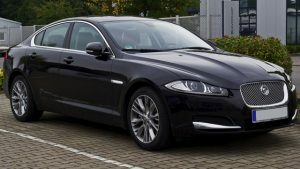 For Jaguar owners in Pineville, NC the mechanics at A&M Auto Service offer dealership quality maintenance and repair work at a fraction of the cost. We offer a 2-year/24,000 mile limited warranty for services and repairs and all of our services are performed using the latest available tools and equipment in order to assure accurate, quality service. If you’re tired of expensive trips to the dealership and want to make sure your Jaguar gets the quality of service it needs please call or visit A&M Auto Service today. Our mechanics are here to help you with everything from answering any questions or concerns you may have along with scheduling your next service appointment.